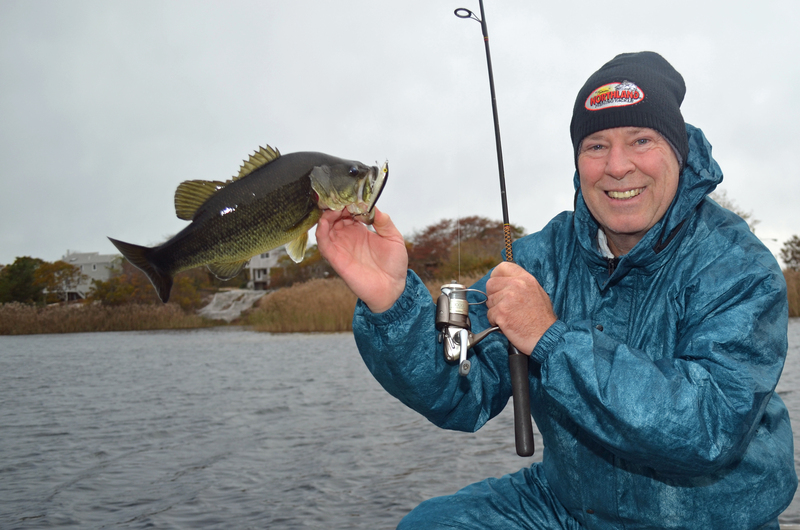 Wet, windy days often make for good fall bass fishing. At the very least, you should find your favorite lake uncrowded. OutdoorTom.com photo. The fall season always seems to sneak up on me. One day I’m dragging weedless worms or pig & jigs across the tops of lush, green weed mats that are literally pushing up against the surface. Two weeks later, I notice a few more open pockets and soon after the weeds turn to brown. The process has already begun this year and there is no turning it back. By the time you read this, largemouth bass will be slipping into their fall routine, necessitating some significant adjustments if you hope to keep up. Watch for the signals that mark the start of major changes in their behavior and it is possible to stay on the fish. Following are a few key points to help guide the way. As thick mats of lush green weeds fade and recede in late September and early October, they lose much of their appeal to largemouth bass. Throughout the summer, they provided shade, generated oxygen and served as ambush points for hungry predators laying in wait while young of the year sunnies, perch and shiners cruised the edges. Now, the sun pierces through to the bottom, the minnows have mostly moved out, and photosynthesis has slowed to a crawl, negating most of the reasons bass held here in the first place. Still, if you search hard enough, it is possible to uncover an occasional puff of green weeds that look alive and refuse to give up the fight. Lunker largemouths often gravitate toward such patches. The water is clear by now, so approach any green weeds you detect quietly and with patience. Using six- to eight-pound test spinning gear, toss a small, floating minnow imitation and twitch it gently across the surface before nosing it under with a steady retrieve. In the summer, you could expect a hit almost immediately, but in the cool waters of early fall, some fish will follow a lure for several yards before deciding to strike. Thus, stay alert even after your plug has made its way a considerable distance. Frequently, hard strikes come just before a lure is lifted from the water. As the weeds continue to fold in early October, bass remain fairly active and may even go on a surface feeding binge if conditions are right. For a brief period of a week or two, just as the first leaves of autumn begin to light on the water’s surface, you can tempt bigmouths right on top. At this point, expect the fish to have moved off the shore and toward the mouths of small, shallow coves. 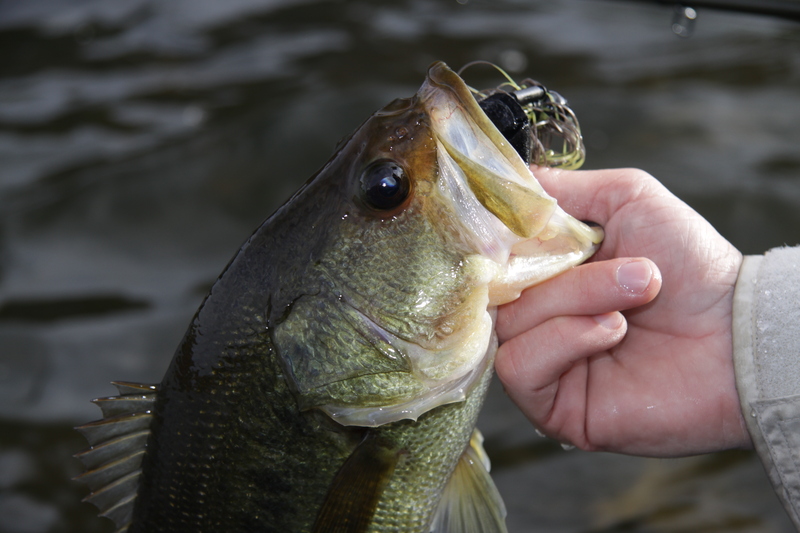 As sunshine warms the water slightly in the late afternoon, poppers and bass bugs can raise these fish to the surface. 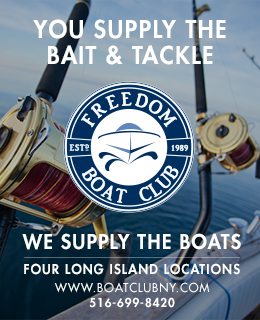 Generally, the strikes are explosive – but highly aggressive small fish usually outrace the big ones to your offering. Still, if you cull through enough shorts, solid two- to four-pounders await. Think yellow, red or green in terms of productive colors, and be sure to realize not all cove mouths hold fish. In fact, some days it seems as if every bass in the lake is packed into a 50-foot circle. Perhaps they are, for several years ago I used a small deer hair mouse to catch over seventy largemouths measuring six to 18 inches in a single afternoon. The truly amazing thing is that I only had to move my anchored kayak twice – both times to reposition after wind shifts. If the fish are stacked and ready to engage in surface feeding antics, you’ll know almost immediately. Thus, make a few casts and move on unless you get instant gratification. Get off the bank and probe the channels to find bigger fish when the temperature drops. Photo by Tom Schlichter. By late October, the surface action comes to an end and bass fan out from the cove mouths to take up stations along channel edges and drop-offs. Boaters have a big advantage now as most of the fish have moved off the banks. But put your rod down, forget about casting for a few minutes, and concentrate on finding and mapping the deepest channel you can locate. On mill ponds especially, this is simply the creek bed that runs from the inlet to the outlet. As you probe each channel discovered, you’ll find it sports small bends and pockets. It is in these nooks and crannies that bass stack up. Once you’ve located an area that seems to hold potential, work it slowly for a minimum of ten to fifteen minutes before moving on. The fish tend to be a little more spread out now, and with water temperatures continuing to fall, a sluggishness spreads throughout the lake. Patience is now a virtue. Take time to probe each pocket slowly and with purpose using dark colored, three- to four-inch scented plastic worms. You’ll catch fish sporadically, but some might be of trophy status. Because the late fall period is often windy and the fish are slow to take, you’ll score best if you turn off the trolling motor or saddle your paddle and quietly anchor at each targeted fishing location. I find it difficult to work lures attentively, accurately and slowly enough to score consistently from a moving boat by the time Election Day rolls around. If working a distinct hole, I’ll fish in one spot for ten to thirty minutes before giving up. If working along a channel, I’ll usually start at one end and work my way down the corridor, anchoring every thirty yards as I probe along. 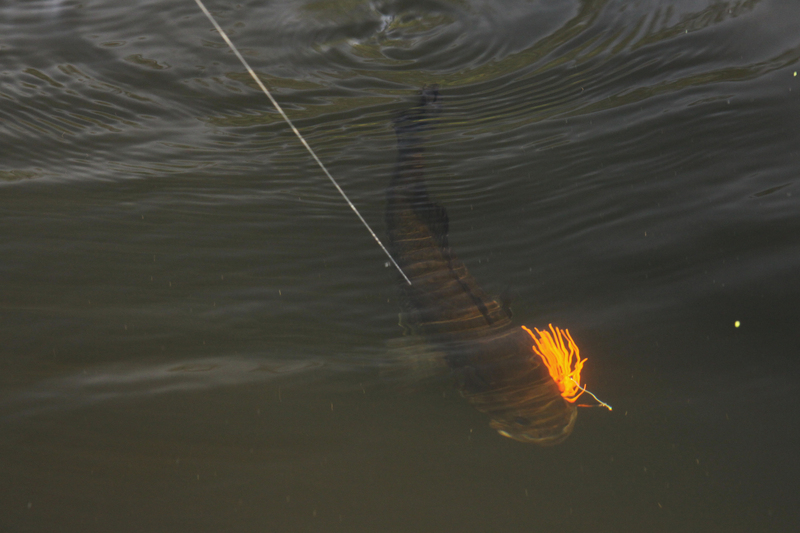 Bright spinnerbaits can still turn heads during September, October and November. Photo by Tom Schlichter. If the channel edges fail to produce as October rolls into November, it is possible the bass are still in transition. To find out, begin by fan casting to flats adjacent to main channels. Keep working further and further away from deep water and back toward the shallows. Small spinners and spinnerbaits cast with 4- to 6-pound test spinning gear are perfect for covering this water. Gold, size 1 or 2 Mepps Super Vibrax, Panther Martin Classic or black Mepps Rooster Tail in-line spinners are among my favorite offerings. Small orange or white spinnerbaits see a lot of time at the end of my line as well. If the bladed wonders fail to elicit a strike, go back to a three-and-a-half-inch floating minnow or work a tiny Yo-Zuri Aile Goby slowly just below the surface. Fall tends to be a windy period, but it occasionally presents a mellow afternoon. Take advantage of warming trends or a spell of Indian summer to get out and fish hard. Chances are you’ll find some bass enjoying the reprieve as well. As you work form spot to spot, keep an eye on the water beneath you. By now most lakes should be very clear and with the weeds beaten back, you’ll have a great chance to discover new pieces of structure. They may not hold any fish this fall, but that fully submerged log, deadfall or sunken row boat you happen across may pay huge dividends next spring so be sure to make some notes and mark your maps when you get home.